BRIGHTON & HOVE continue to lead the way in the Sussex Cricket League Premier Division. They recorded their first draw of the season against Cuckfield to see them open up a five-point gap at the top-of-the-table. Phil Salt smashed 74 from just 52 balls and Jack Chopping ended unbeaten on 58 as Hove posted 211 for nine batting first. Josh Hayward took five wickets, while Stefan Piolet claimed three for Cuckfield. Chris Hole made 56 in reply but Cuckfield struggled and they ended their innings on 172 for eight. Preston Nomads moved up to second-place in the table following a comprehensive six-wicket success over Eastbourne. Nomads skittled Eastbourne out for just 142 with Callum Jackson top-scoring with 82. Carl Simon lead the way with the ball as he took six for 57. Preston knocked the runs off with relative ease with Oliver Gatting hitting 67 to help his side to 143 for four in reply. Reigning champions Roffey made it three wins from four matches with a four-wicket win over East Grinstead. After being put into bat East Grinstead declared on 200 for nine from 57 overs thanks largely to Fynn Hudson-Prentice’s 90. Rohit Jagota made an important 56, while Daniel Smith (30 not out) and Matt Davies (29 not out) shared an unbeaten seventh-wicket stand of 47 to guide their side over the winning line. Middleton remain without a win in four matches following their four-wicket loss against Bexhill. Will Burrows and Andy Ender top-scored for Middleton with 45 as they were bowled out for 207 batting first. Tim Hambridge then hit 74 at the top-of-the-order for Bexhill as they made 208 for six in reply to record their second win of the season. In the final game of the Premier Division weekend Billinghurst overcame Horsham. It looked as though Horsham would come out on top at the halfway stage as Billinghurst were skittled out for just 142. However, a fantastic bowling effort from Dhanuska Mitipolaarchchi took six for 47 as Horsham fell 13 runs short after being bowled out for 131 in response. Division 2 remains very tight at the top as five points separate the top three teams. Worthing are still top after they made it three wins in four matches. Bowling first they dismissed Crowhurst Park fo 113 in 48 overs. And they continued their dominance with the bat, reaching their target in just 17.2 overs to record an eight-wicket success. Pagham moved up to second in Division 2 and just two points off leaders Worthing after they beat Hastings & St.Leonards. Joe Lamb hit 58 for Hastings as they reached 200 for nine in 53 overs. Eranga Dissanage was the match winner for Pagham as he hit an unbeaten 92 to guide his side to 201 for seven in 46.4 overs. Findon are third in the table after they recorded an emphatic 160-run win over Ifield. John Roger made 65 and Bradley Bridson hit 54 as Findon reached 214 for nine. 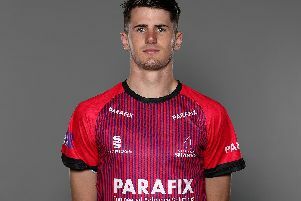 A remarkable bowling performance from Curtis Howell saw him take seven for nine in seven overs as Ifield were dismissed for just 54. Three Bridges dropped a place to fourth after they fell to a second league loss against Lindfield. Danny Alderman made a half century for Three Bridges but his side were all out for 210 batting first. Lindfield knocked their target off with ease as Tom Howard’s 89 helped them to 215 for two in response. St.James Montefiore overcame Ansty in Division 2’s final game of the weekend. Grove Venter made 71 but Ansty were all out for 140. Sam Rattle and George Taylor both took four wickets for St.James. Mali Richards then ended unbeaten on 50 for St.James as they recorded a five-wicket win. Bognor Regis continue to lead the way in Division 3 after they beat Steyning. Crawley Eagles are just two points off Regis, though, after their win against Haywards Heath. Portslade recorded their first win since promotion to this division. They managed to defend 119 against Chichester Priory to pick up a 30 run success. Elsewhere, Burgess Hill beat Goring and Glynde & Beddingham beat Rottingdean. Finally in Division 4, Slinfold remain top after they made it four wins from four with victory over Stirlands. Mayfield moved up two places to second in the table following their win over Hellingly. While there were home successes for Keymar & Hassocks, Wisborough Green and Henfield.